Let’s go back in time and examine a few clues. 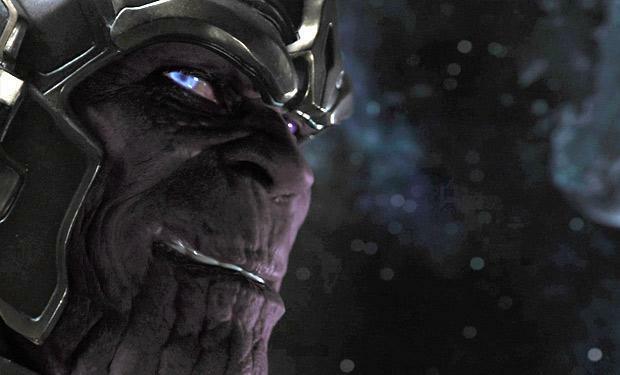 Remember the first time we met Thanos, at the end of the original Avengers film? Remember how he turned to the camera and his eyes glowed blue? That was weird, wasn’t it? Especially since Thanos doesn’t have blue eyes? Now, granted, maybe they updated the character design (they re-cast him, after all) and decided to drop the blue eyes, for whatever reason. *Or* maybe he’s under Loki’s mind control. 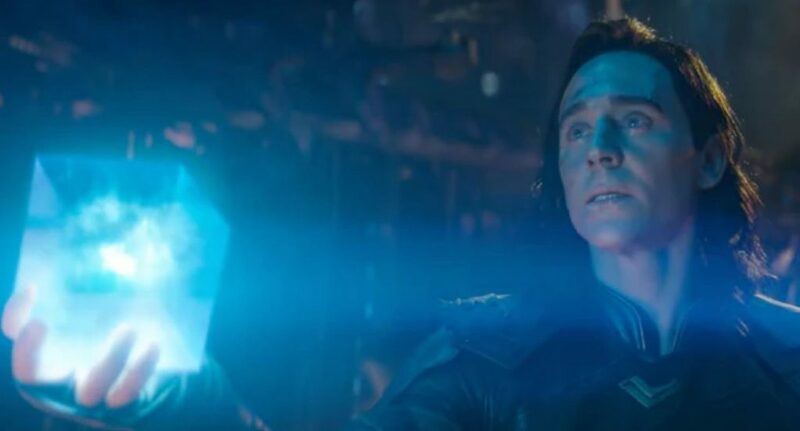 If you recall, whenever Loki tapped one of his enemies with his scepter in that film, their eyes glowed blue and they started following his commands. What if Thanos has been under Loki’s mind control ever since then? It would certainly explain why Thanos didn’t immediately come after him once Loki’s plan failed and the Chitauri were destroyed in that fight in New York. So all this time, while Loki has been scheming around with his brother and trying to get himself out of various hot water situations, he’s been using Thanos to collect the Infinity Stones on his behalf. Perhaps that’s why, in my theory I posted this morning, “Thor” (that is, Loki posing as Thor) doesn’t seem intent on preventing Thanos from getting any more Stones by traveling to Knowhere with the Guardians. What point would there be, if Thanos is eventually going to hand them over to him anyway? Maybe it’s not that simple, though. Maybe the mind control has worn off by now, which Loki plainly sees at the start of Infinity War, so now he has to craft himself a new weapon and go tie up that loose end by killing Thanos and taking the Gauntlet, hence the Thor disguise. There are several possibilities here, but they all point to Loki eventually getting the drop on Thanos and stealing the Infinity Gauntlet for himself. But where does that leave us? What’s the Endgame? Well, let me ask you, do you think it’s a coincidence that all six of the original Avengers are left alive after the snap (except for maybe the real Thor, who’s MIA)? Loki is going to eventually steal the Infinity Gauntlet from Thanos and use it to exact his revenge on the original team that defeated and humiliated him in New York. He made one critical flaw, however: He underestimated Nick Fury. Not only did he not include him in his big revenge scheme – not thinking him important enough to waste his time on – he also didn’t take care of Fury personally, instead allowing him to disappear in the snap. In so doing, he left open the possibility for Fury to bust out his cosmic pager and shoot off an S.O.S. to Captain Marvel, who will bring this entire plan crashing down around Loki’s head. I seriously have no idea if there’s anything to any of this theory. I’m 100% basing it around one throwaway line of likely improvised dialogue that doesn’t make any sense. But hey, I might also be right. Oh yeah, another point that supports this: By using Thanos to gather the Stones, Loki doesn’t have to sacrifice anything for the Soul Stone. One thing I really like about this theory is the cleanliness of the bookending; Loki was the big bad guy in the beginning, and he’s the big bad guy in the end.